(BPT) - In pop culture, myths can sometimes be mistaken for truth. Common ones, like, “don’t swim for a half hour after eating,” or “we only use 10 percent of our brain,” are false even though they’re widely taken for fact. The adjustable rate mortgage (ARM) earned a bad rap after the 2006 housing crisis. The problem was, before the crisis, many borrowers were able to qualify for more home than they could actually afford by using interest-only, No Income Verification or No Ratio ARM products. When the housing market tanked and many houses lost value, some homeowners with rising mortgage payments either foreclosed or walked away from their properties. Fast forward 10 years to today. The ARM is back to show potential homebuyers it’s not the villain of the housing market. It’s time to debunk the myths that give ARMs the “bad guy” reputation it doesn’t deserve. MYTH: ARMs are unstable and aren’t a good option while the Feds are raising rates. This myth stems back to the days of the 2008 recession. It’s like saying, “dial-up is the fastest way to access the Internet,” it’s just not true anymore. All ARM loans have annual and lifetime caps, so there’s built in protection. If stability is what you’re concerned with, consider an ARM with a longer adjustment period. For example, Navy Federal Credit Union’s 5/5 ARM adjusts only once over the initial 10-year period. Interest rates rise and fall in cycles. Even if rates are increasing now, that doesn’t mean they won’t be on the downturn when you arrive at your potential adjustment point. Many ARM mortgage holders never refinance to a fixed rate because the many ups and downs of the market happen in-between their adjustment points. Refinancing is always an option for those with ARMs. Just remember to calculate closing costs on your refinance to make sure you’re actually improving your situation. Research and the guidance of a trusted lender will be the winning combo for saving money over the life of your mortgage. MYTH: ARMs are only for people who want to be in a home for a few years. Not true. ARMs have fixed intro periods that can vary from one to even 15 years. If you think you’ll own that home for five or six years, a fixed mortgage rate may have a higher interest rate over that span. So why spend the extra money associated for the added security of a fixed rate? Again, it pays to plan for various scenarios based on how long you plan to own the home. MYTH: Rates only rise when you have an ARM. The term “adjustable” gives the misconception ARMs are unstable. 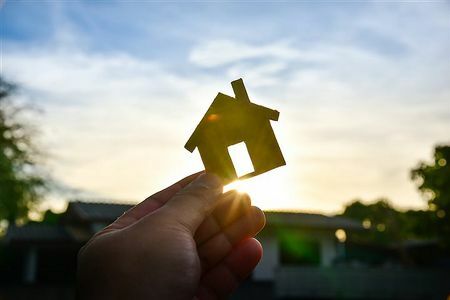 The ARM is very similar to a fixed-rate mortgage; both offer a 30-year term with no prepayment penalty and early payoff options, among other similarities. Like any myth, do your research before accepting it at face value. If you add up the ARM’s initial savings plus the cost to refinance, an ARM is hard to beat from a financial standpoint, and that, is the truth.